M(i)s Ch(i)ef™: Cowardly Custard? Go on! Make you're own! Custard! It helps us through the harsh Winter months with it's silky, creamy texture and distinctive flavour, accompanying our favourite puddings, pies and crumbles. It hides in summer in the guise of homemade ice cream: custard mixed with pureed strawberries (or any flavour that takes your fancy) churned in the ice cream machine, once tasted, guaranteed to convert you for good! I grew up only knowing how to prepare custard from custard powder which used to squeak between my finger tips once I'd wrenched the can open with the handle of a teaspoon. It was not until I was living in Japan where custard powder wasn't even heard of, that I discovered how simple it is to make custard from scratch. What is custard powder anyway? It just replaces the egg yolks but doesn't remove the laborious part of having to heat the milk! The ironic thing is that they sell custard powder right next to the "pavlova magic" egg - another strange invention which seems to be just dried egg whites that you reconstitute in water. Buy them both, and you've saved the minute it takes to separate eggs and sacrificed bags of flavour and pride of making your own! 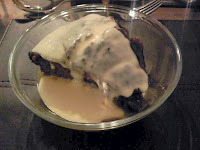 I adapted a new recipe for custard this evening from Rick Stein. The great part which was new to me was mixing in a tablespoon of cornflour with the egg yolks to replace one yolk for a lighter version! It also helped thicken up the sauce quicker. I don't normally post recipes, but I really would love to convert custard powder or pre-packaged custard buyers to try their own. It's so easy and makes a delicious and impressing topping to a hot sponge pudding, or on your traditional British trifle! 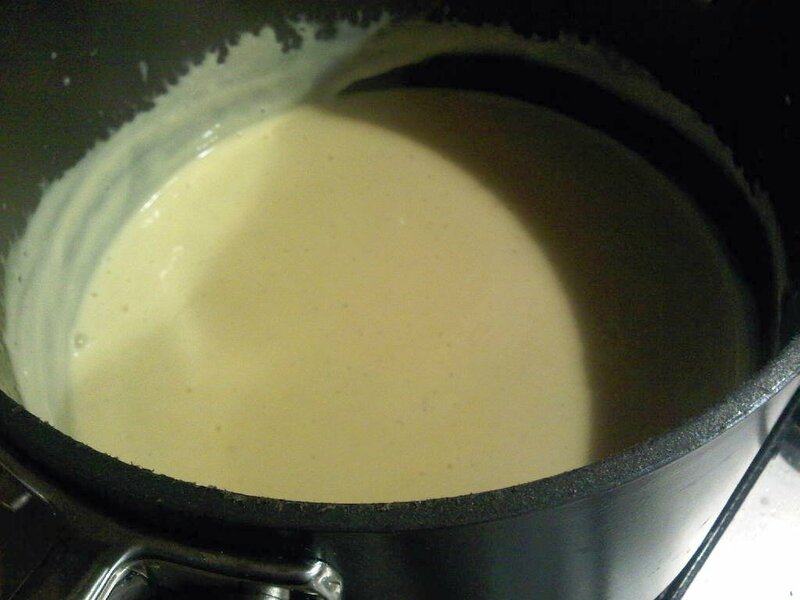 Heat milk, cream and vanilla in a saucepan over a medium heat until just boiling. Meanwhile beat the egg yolks, cornflour and sugar together until light in colour and ribbony. When milk comes to the boil, remove from heat and add to the egg yolk and sugar mixture. Return to a clean pan and stir constantly till thick and creamy. 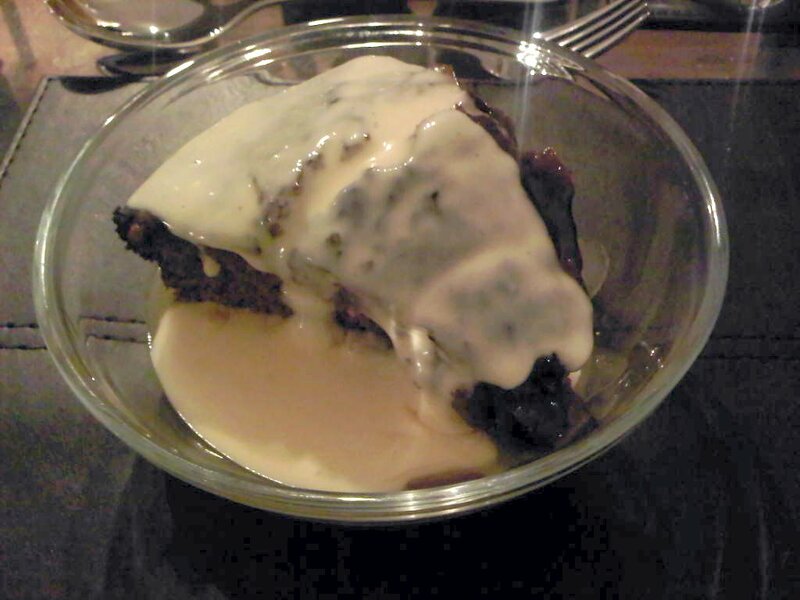 Remove from heat and pour over your favourite winter pudding! If using in strawberry ice cream, omit the vanilla and mix with strawberry purée (500g strawberries and 1/2 cup sugar processed to a purée) leave to cool and churn in the ice cream maker according to the manufacturers instructions. Thanks for the great recipe. I will give this a try because like most people I have always used instant custard or custard powder.